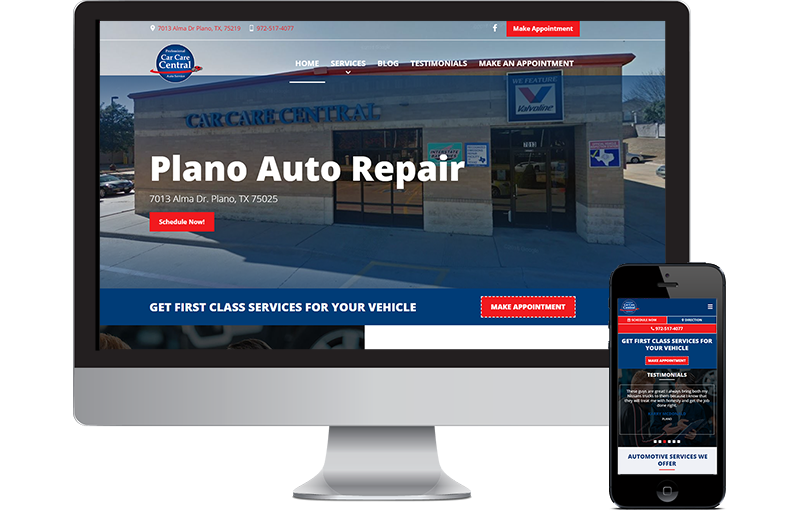 This auto repair client was using an outdated website that was built on a WP Theme that was widely used on the internet. The site was slow and bloated as most pre-made theme websites are. We used one of our base auto website projects and customized the code and mobile functionality to fit the clients needs. Mobile users have all of the vital information they need at their finger tips. One click to call, get directions or to schedule an appointment.